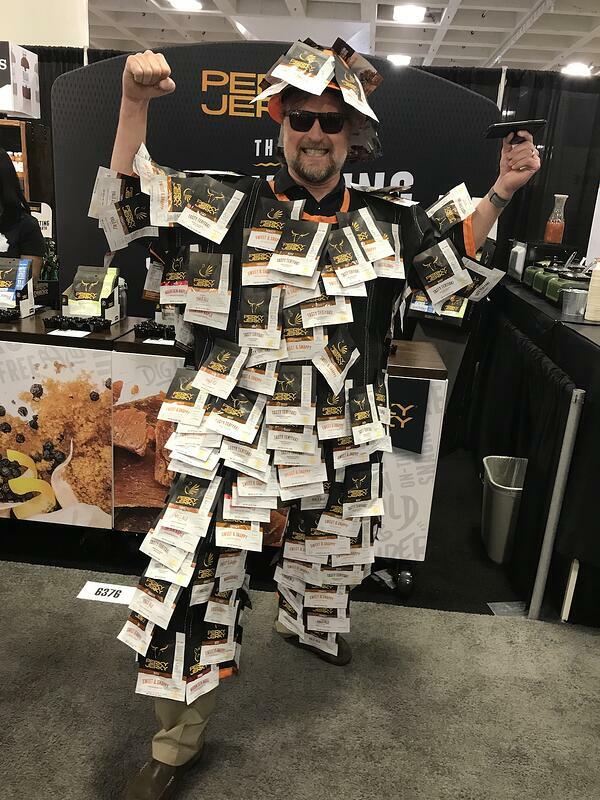 It can be hard to stand out when you are one of thousands of brands trying to catch the attention of tradeshow goers. 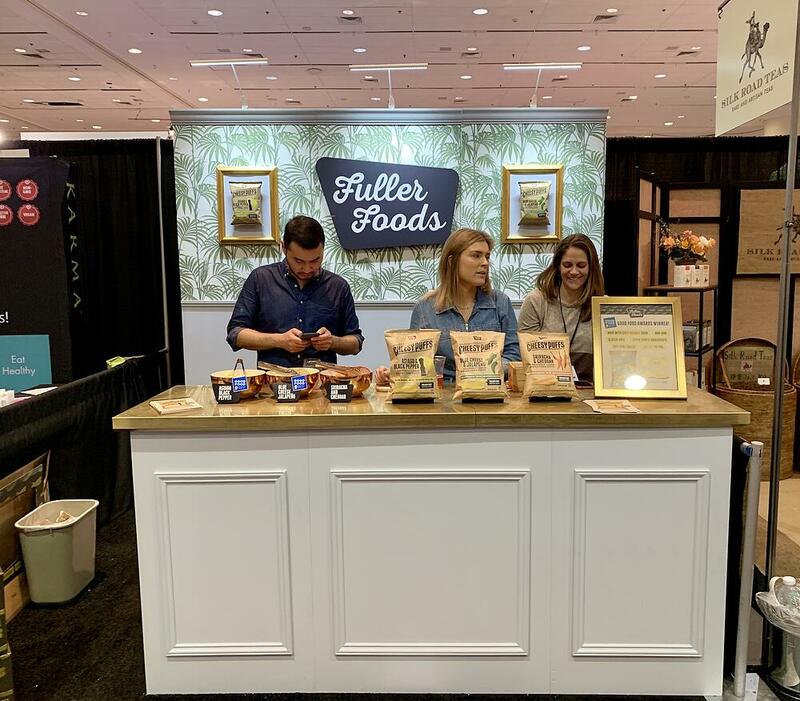 We saw so many amazing tradeshow booths at the Fancy Food Show, that we decided to take time to do a round up of our favorites that definitely got our attention. Who doesn't love cheese? And more importantly, who doesn't like a giant cheese board? 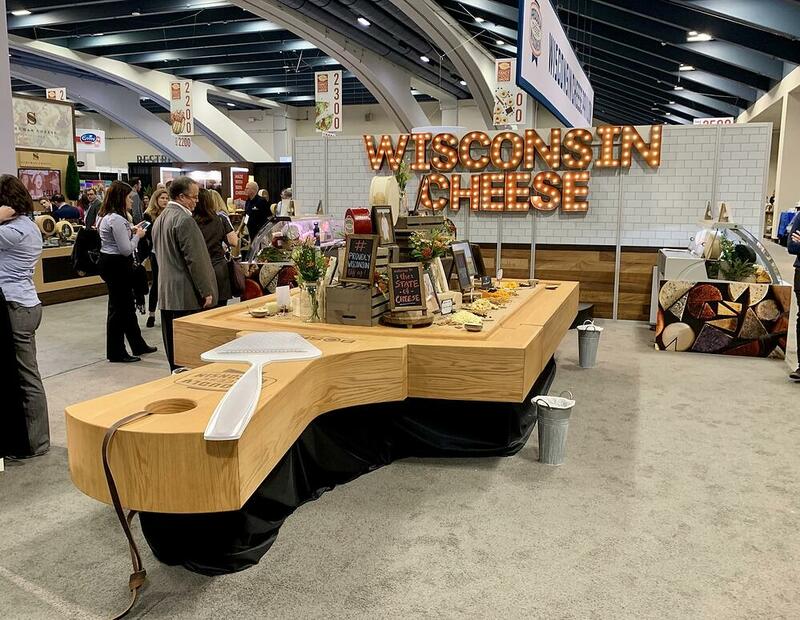 Wisconsin Cheese took it to the next level with their booth, displaying a giant 10ft + cheese board. Is there something you can supersize for your booth? Although this booth was on the smaller side, it still caught our attention due to its adorable color scheme and inviting layout. Everything from the cute cat shaped plates displaying their tea to the marble print tile "backsplash." This simple booth kept on brand while also allowing you to see how the product could be displayed in your shop. This booth did a great job inviting you into their "home." 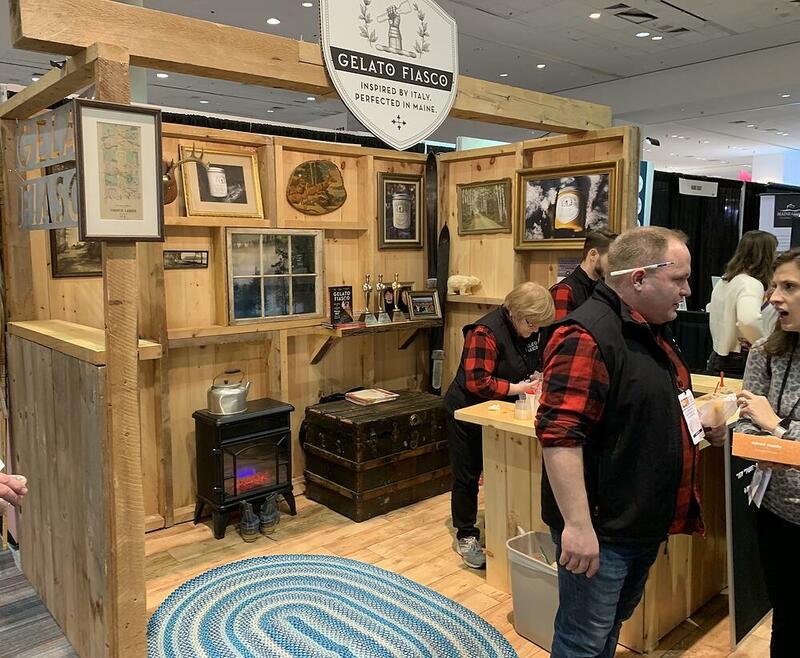 Complete with a furnace, throw rug and the team members wearing matching flannel and vests, Gelato Fiasco did a great job at making you feel like you weren't at a tradeshow anymore, making it memorable. Do you have a parent brand with 2 very different identities? Then take a page from this booth. Thinsters/Palm Chips did a great job with creating two "bookends" that work together. I will say that I was partial to the Thinsters side, because I love bright colors (and cookies). 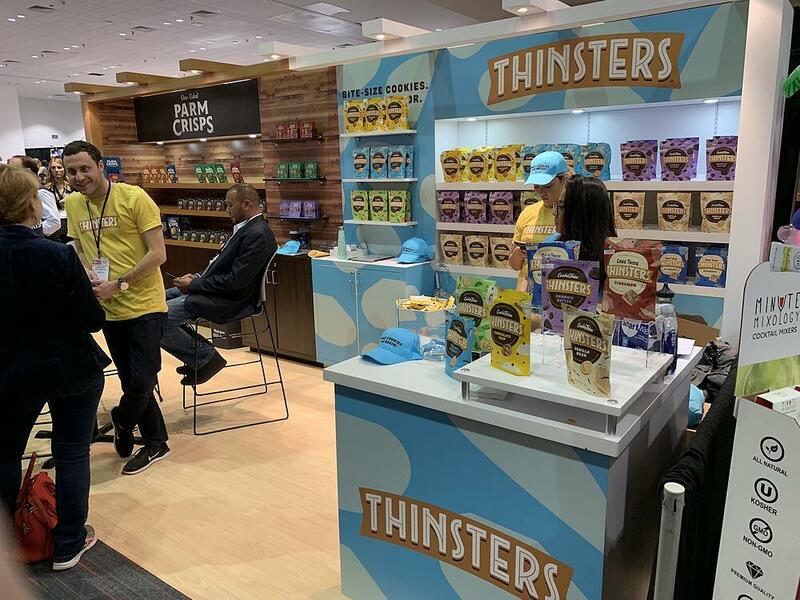 The Thinsters booth really popped with the bright background and showcased their packaging, which drew me in to learn more. Bakery Bling made you feel like you were walking right into your local bakery. Everything was on-brand, from the cute little island, to the faux white brick wall in the back. 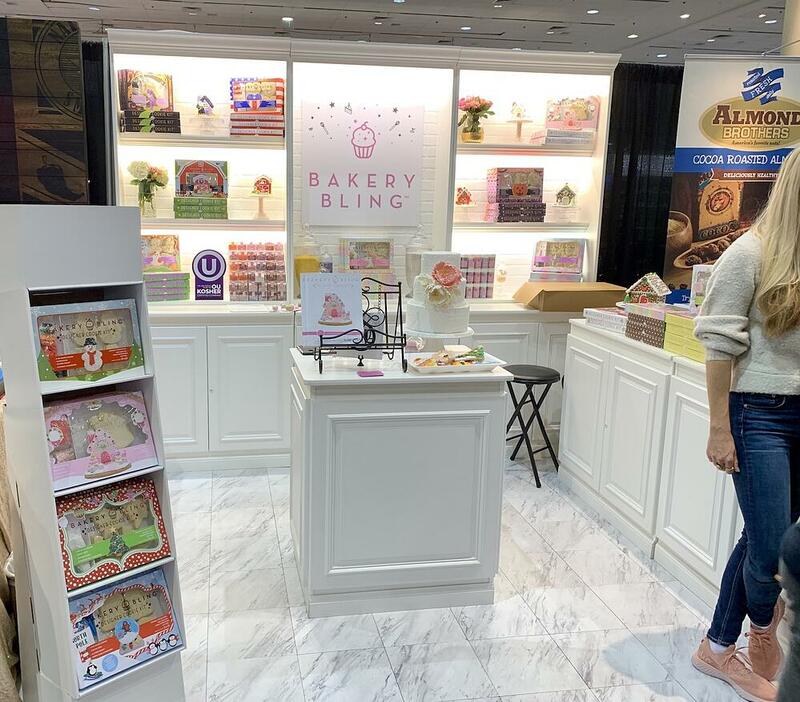 This booth perfectly showcased what their product was - designer cookie kits that allow everyone feel like a professional cookie decorator. Although this was another smaller booth, the clean design and simplicity made it very inviting. I loved how they literally framed their product (which were delicious cheesy puffs), and made the frames pop with a trendy wallpaper that matched their branding. This booth did an amazing job at inviting you into the space. 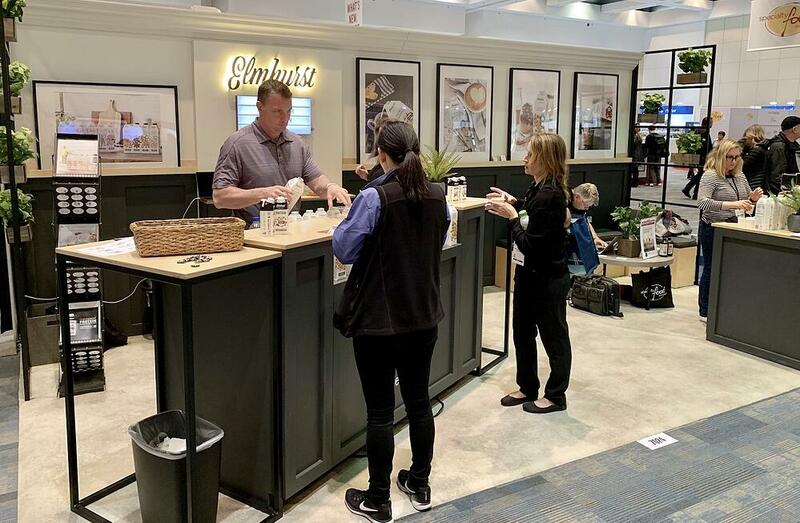 With their clean display of products, beautiful framed product photography on the wall and backlit logo, it felt like you were entering a classy coffee shop. They even had a nice corner set aside for meetings that didn't disrupt the display. Our absolute favorite booth was the Belgian Boys. It was actually hard to get a photo of the entire booth because there were so many people trying to take photos. Not only did they have fun with bright colors and trendy design elements (including neon, a vine wall, and SMEG appliances), but they also took their products and displayed them in the most fun way possible - on giant, beautiful milkshakes! 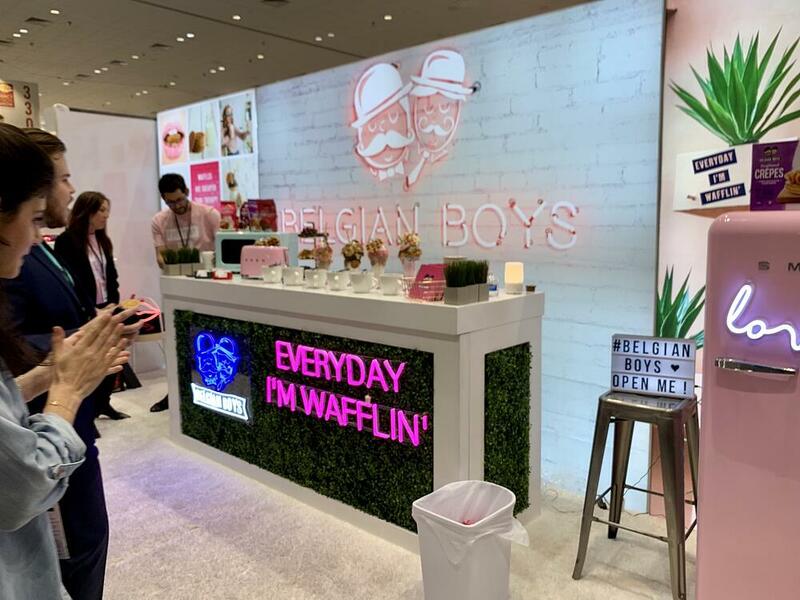 A key takeaway from this booth was that they really showcased their adorable slogan "Everyday I'm Wafflin'," which made it very memorable.  The biggest thing we learned is that the size of the booth doesn't matter nearly as much as the creativity, and probably most importantly, a friendly face. 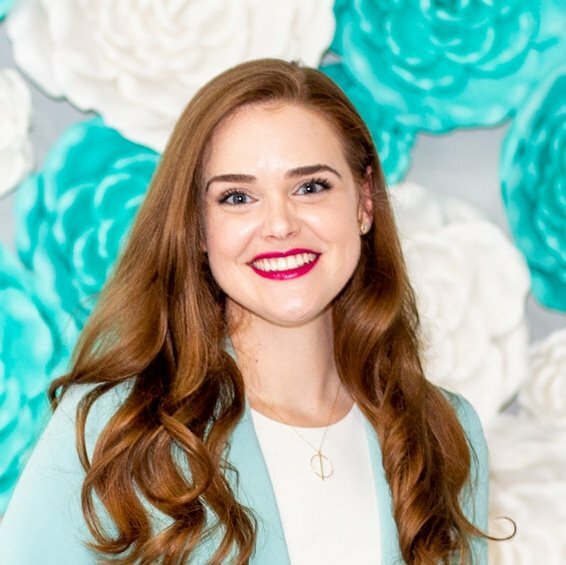 Also, a few inexpensive trends that go a long way include: pops of color, a fun wall paper and keeping things simple. If you think we missed some great booths, be sure to let us know at hello@joinstatus.com!